TCAD and the Tompkins County Chamber of Commerce hosted the 2019 Economic Summit on January 31st at Coltivare in Ithaca, NY. The Annual Economic Summit provides a snapshot of the local and regional economy, highlights recent projects, and outlines challenges and opportunities for business and job growth in our community. Heather McDaniel, CeCD, President of TCAD, and Jennifer Tavares, CeCD, President and CEO of the Tompkins County Chamber of Commerce, presented highlights from both organizations to a packed audience. Gary Keith, Regional Economist and Vice President at M&T Bank, presented information on economic trends on a wider State/National level and then at the local level showing Ithaca and Tompkins County with a strong economy that he foresees continuing into 2019. For Local WENY coverage of the event click here. Throughout a 34-year career at M&T Bank, Gary D. Keith has provided economic research and analysis support to M&T’s executive management and commercial banking business units. Not only does Mr. Keith give frequent updates to business and trade groups, he also holds regular discussions with M&T commercial customers, helping to tie together the economic variables that describe the macro economy with real world decisions that businesses make every day. Mr. Keith has a BS degree from Niagara University and an MBA from the State University of New York at Buffalo. He is a member of the National Association for Business Economics and the advisory board of the SUNY Brockport School of Business and Management. He also writes a monthly column on regional economic trends for the Rochester Business Journal. In addition to his economic analysis role, Mr. Keith also manages the bank’s commercial market research department. Heather was appointed President at Tompkins County Area Development in 2018. She is responsible for leadership and management activities to advance the mission and vision of TCAD to build a thriving a prosperous economy in Tompkins County, New York, a county with a population of 100,000. She provides leadership in developing financial resources and develops and leads programs and initiatives to address documented challenges and opportunities. Heather has spent the last 11 years at TCAD, joining the organization as Empire Zone Coordinator in 2007, becoming Director of Economic Development Services in 2008 and Vice President in 2014. She previously worked for the Tompkins County Department of Planning. Heather worked in cooperative housing and redevelopment in New York City and began her career with Cushman Realty in Los Angeles. 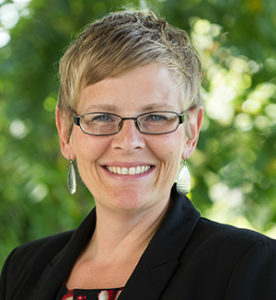 Heather has a Master’s degree in Urban Planning from New York University and a Bachelor’s degree in Sociology from the University of California, Berkeley. She is a Certified Economic Developer (CEcD), certified Economic Development Finance Professional, and a member of the American Institute of Certified Planners. Heather is a member of the board of trustees at The Sciencenter and The United Way of Tompkins County. She lives in Ithaca, New York with her daughters, Olivia and Alex. Jennifer Tavares is the President & CEO of the Tompkins Chamber, a progressive chamber and destination marketing organization with a mission to foster sustainable economic growth through strategic advocacy, workforce development, destination marketing, and quality of life investments. The Chamber & CVB envision an inclusive community, where people thrive, businesses start and grow, non-profits effectively serve, and visitors experience our “gorges” place. Previously, Ms. Tavares served as the Director of Economic Development at Commerce Chenango, and led the annual work program of the Development Chenango Corporation and the county’s Industrial Development Agency. Ms. Tavares also previously led a 350 member chamber of commerce in Potsdam, NY, and started her career in the private sector, working for a small manufacturer in northern New York. Ms. Tavares serves on the board of Tompkins County Area Development, the Tompkins County Industrial Development Agency, the Tompkins County Workforce Development Board, the Air Services Board, the United Way of Tompkins County, Challenge Industries, the Tompkins County Energy Task Force, and the BOCES Career and Tech Ed Advisory Council. In her time off, Ms. Tavares enjoys traveling with her family, skiing, cooking, and reading. She and her husband Nathan have two children, and live in Lansing, NY.